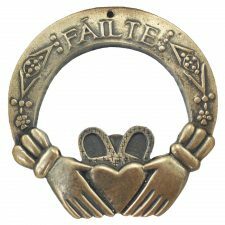 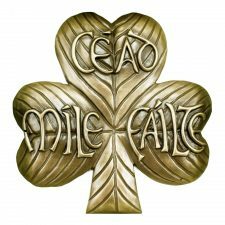 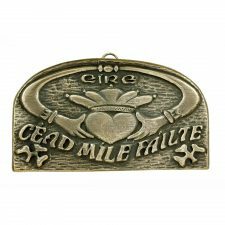 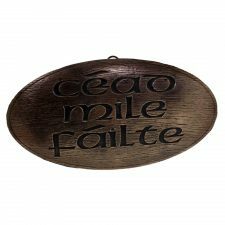 A unique way to welcome people into your home, a beautiful Failte wall plaque. 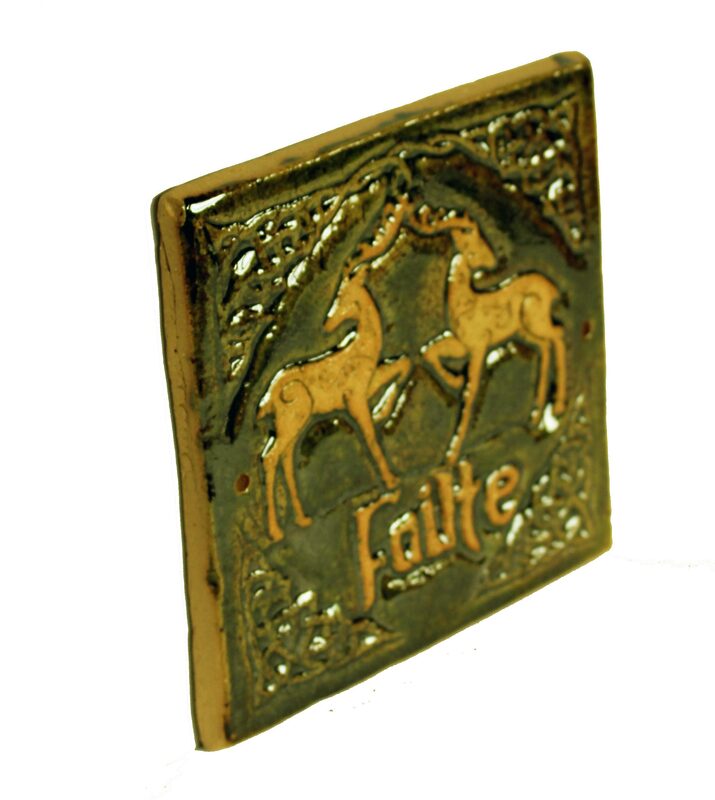 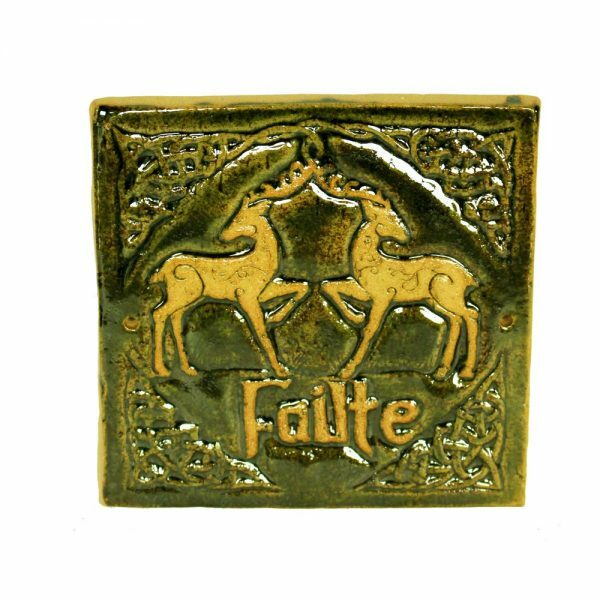 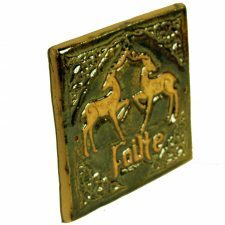 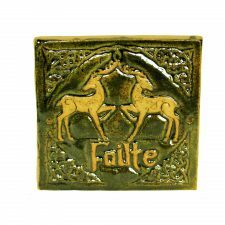 This quality wall plaque displays two Celtic deer surrounded by a Celtic design with the word ‘Failte’, the Irish word for welcome. 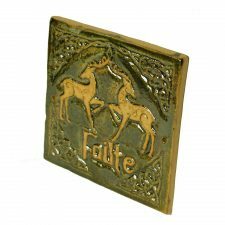 Quality ceramic wall plaque. 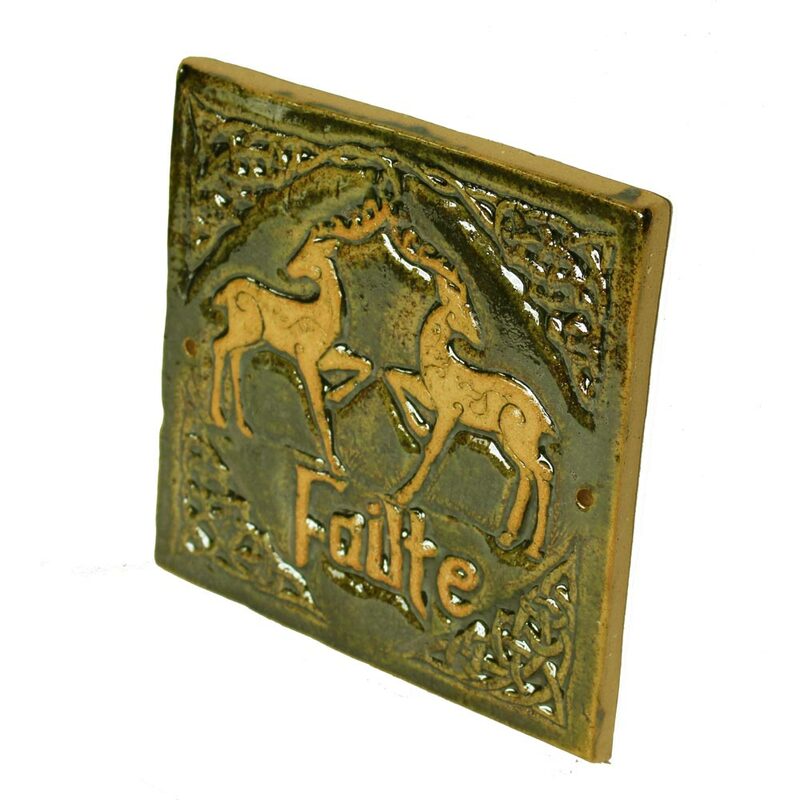 Pre-drilled holes for hanging or screwing into wall (hanging materials not supplied).